Last year's canceled debts are this year's tax burden. If you had a debt canceled last year, you can expect to receive a Form 1099-C from the lender that includes the amount of the debt canceled. When you prepare your federal tax return for this year, you're required to include the canceled debt as income. 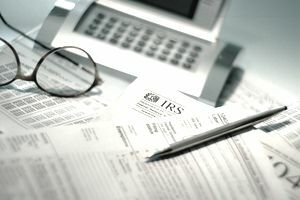 The IRS requires businesses to send a 1099-C to consumers if more than $600 in debt was cancelled or forgiven. And, don't be surprised that your creditor didn't warn you. Businesses aren't required to tell you the tax implications of canceling or forgiving debts. Receiving a 1099-C could have huge implications on your tax refund for this year. Depending on the amount of debt cancelled and your other income, withholding amount, and exemptions, the cancelled debt may reduce any tax refund you were due or worse, you could send up owing taxes because of the cancelled debt. You've made an debt settlement agreement to pay part of the debt and have the other part cancelled. The lender has a business policy of discontinuing collection activity after a certain period of time. Of course, finding out your debt was cancelled should be a good thing. And once you've dealt with the taxes related to the cancelled debt, you'll have no more liability related to that particular debt. How Is It Considered Income? When you borrow money, the business extends a payment to you. That payment may come in the form of a loan disbursement or a credit purchase. You have an agreement to pay the money back, so it's not subject to taxation or considered income at that point. However, when the business cancels the agreement, any amount that you haven't repaid is then considered income and can be taxed. If you receive a 1099-C from one of your creditors, don't throw it in the trash. This form is more than just a simple notification of debt cancellation. The fact that you received this form means the IRS has also received it and they're expecting you to include the income on your tax return. Include the 1099-C with your other financial documents when you go to your tax preparer. Make sure your tax preparer has experience with this type of income or seek out a tax preparer who does. You don't want this issue to come back to haunt you. If you fail to include the income, your tax return may be rejected, or the IRS will correct your return and adjust your refund or send you a bill for what's due. You could face fines and other penalties if the income isn't reported on time. There are certain situations in which your debt can be cancelled, but you don't have to report it as taxable income. The debt was discharged in bankruptcy (unless the debt was incurred for business or investment purposes). Student loans that are forgiven by an educational institution that's tax-exempt and you work for a certain number of years for a qualified employer. The debt was from a mortgage on a primary residence lost in foreclosure, sold in a short sale, or from a restructured mortgage. You'll still need to include this forgiven mortgage on your tax return, but on Form 982, and shouldn't face any tax penalty on it. You were insolvent by least the amount of the canceled debt at the time the debt was canceled. Being insolvent means your liabilities outweigh the fair market value of your assets. In other words, you had a negative net worth when the debt was canceled. To take the insolvency exclusion for canceled debt, you need to file IRS Form 982. Your state's tax law for cancelled debts may differ from that of federal tax law. Consult a tax professional, e.g. an accountant or attorney, to confirm your state's tax law about reporting cancelled debts as taxable income.